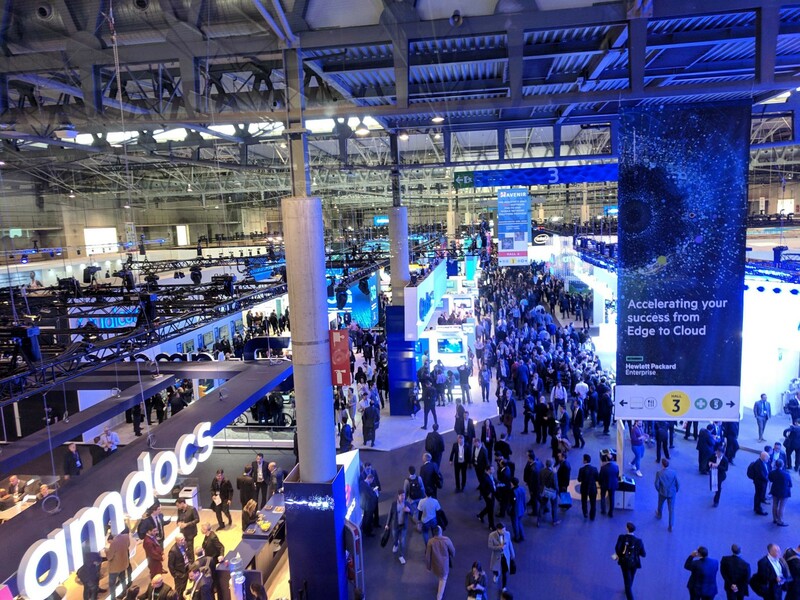 I’ve just returned from a grueling but exciting week in Barcelona for Mobile World Congress (MWC), one of the mobile industry’s largest events of the year. Barcelona sounds anything but grueling, I realize, especially when you consider the nearly perfect weather and amazing mix of Old World and new in this vibrant city, but during the week of MWC, it becomes host to over 100,000 delegates, all there to do business in mobile-focused technologies. As an exhibitor, I spent four days, at least 10 hours a day, talking with people about what we do, meeting with prospects and partners, answering questions, and taking notes. This is my sixth year attending MWC with my company, Kochava. We are a global real-time data solutions company helping customers with all aspects of marketing in the world of connected devices. I serve as brand director and in this capacity do a lot of writing, editing, and designing around how we present very technical topics and products in a way that the average person can understand and appreciate. MWC presents an incredible opportunity for in-person connections with my industry in general, all in one place, at one time. Last year, my focus was on our blockchain project (XCHNG.io), where I spent the whole year learning about a brand new topic (to me): Distributed ledger technologies. I got to edit this white paper, making extensive changes as I researched and worked with our systems architects to clarify various points so I could write about it more effectively. I was able to select and advocate for a wonderful keynote speaker at our company’s 2018 event, the Kochava Mobile Summit, Kathryn Haun whose work you should check out as a federal prosecutor on the famous Silk Road case (among many other accomplishments). I worked on branding, messaging, outreach strategies, and lots of editing for technical documentation, marketing materials, and partner and advisor programs. So when I was saw the invitation to attend a Women in Mobile event scheduled for Tuesday during MWC entitled “Blockchain Beyond Bitcoin,” it was right up my alley. I was interested in networking with other women working in this emerging field, and I hoped to learn something new from them as well. You arrive at Centre de Cultura Contemporània de Barcelona, a cultural center in Barcelona near the university, and navigate your way to the Sala Teatre where the event is being held. You walk into an empty lobby, check in at a desk, head upstairs and are ushered into a small-ish auditorium to wait for the presentation. There is no designated space for networking with other attendees within the auditorium. You are not offered a beverage. The entire audience is sitting politely, patiently, waiting for twenty minutes for the event to begin. Almost everyone I can see is a woman, and the auditorium is nearly full. Now I ask my male colleagues, would you stay? You are hungry and tired, and you are still technically on the clock…your job above all else at MWC is to make meaningful connections, and this environment isn’t conducive to that (everyone is sitting, facing forward in a darkened auditorium). I’d wager to guess you would quickly move on to other options with more hospitality and meaningful conversation (and tapas!). I had another commitment at 8:30 p.m., and really wanted to see the blockchain presentation, so I stuck it out for a while. Here’s one positive thing I can say about the Women in Mobile event: The ladies who took the stage were outstanding presenters. They were poised, enthusiastic, and articulate, and those I saw were all Spanish natives presenting in English, on technical topics. Well done. But I was disappointed that the content was the very most basic, elementary information about blockchain. It was nice to have a reprieve from the ‘mansplaining’ that often happens in tech (which usually involves a storm of acronyms that are never defined up front) but I thought to myself, surely I’m not the only woman in this auditorium who was expecting to learn something slightly more advanced than the difference between a centralized and a distributed system. “Blockchain Beyond Bitcoin,” it was not. 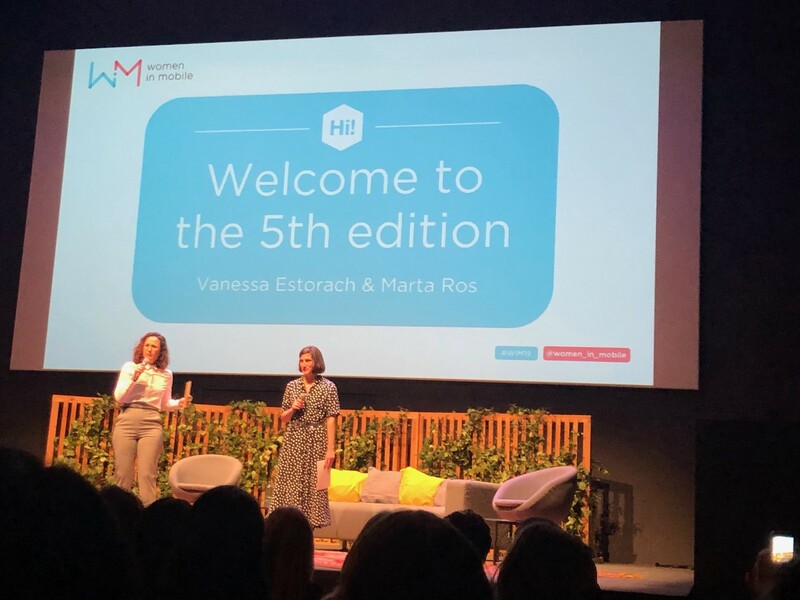 After hearing Vanessa Estorach and Marta Ros of Women in Mobile welcome the group, and Montse Guardia from Alastria, and Laura Spinaci, founder of the Blockchain and Innovation Mentoring Lab present, I had to head out for another commitment. To be fair, they had scheduled networking time for after the event (which would be another hour later), and maybe it was amazing. I wish I could have stayed for it, and I hope they had food! 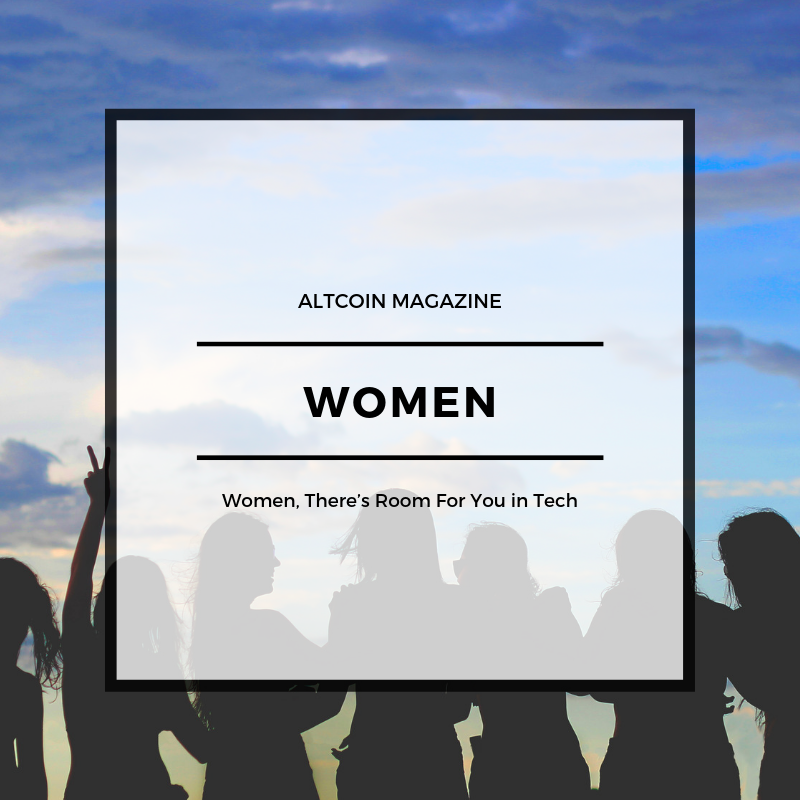 I was left with the feeling “We can do so much better” for women in technology. Not that these particular women can do better — take a look at their bios and you will be as impressed as I am. They obviously care about and are working to advance opportunities for women. But we can do better about respecting each other, and treating the women in our industry as equals to men. This event should not have felt second-class to all the other events I attended and networked at across the city over the week, but unfortunately, it did. I’m already brainstorming ideas for Women in Tech networking meetups that we can host in the near future. 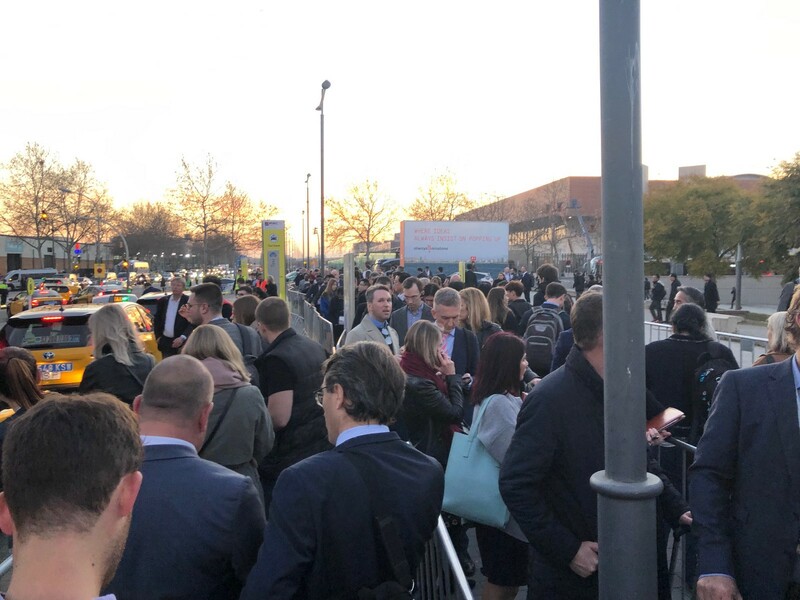 The next morning, one of my colleagues in London forwarded me a link to this article in which Zoe Kleinman, a technology reporter for BBC News, discusses how few women were present at MWC, at least outside of service roles. The following had been shared from the stage the previous evening: “Five years ago, only five percent of MWC attendees were women, today women make up 30% of attendees,” insert enthusiastic applause. While that is demonstrable progress in a short time, it’s still a fraction of the male attendees. The statistic seemed to apply to my team as well — I was one of three women of 11 team members at the event, roughly 27%. Several things happened to me that day that increased my general discontent as a woman working in a field of technology. Related, last week I watched embroiled Huawei founder and president Ren Zhengfei answer a question in a televised interview asking if his daughter, Huawei CFO Meng Wanzhou, would ever succeed him as head of the company. He brushed off the idea as impossible because she didn’t have a background in technology. Would he have answered the question the same way about a son? I suspect that instead, he would have been encouraging a son to be educated in those missing areas of technology. Learning is always an option, whether you are a man or a woman. Be cautious, ladies, because complaining a lot is wearisome to others and may not help your career. You are going to need to vent sometimes, but vent to someone who isn’t going to use it against you later (choose carefully). Instead, continue to be a part of the improvements you want to see. Remember this: You are just as capable of learning new things, including technology, as your male counterparts, you just have to put in the time and do the work. So do it! The single most important thing you can do is learn, and that’s entirely within your control. Especially in emerging technologies like blockchain, the industry positions have not all been claimed, therefore your opportunities abound and are equal to those of men. Tell your female friends who are students of computer science and technology to stick with the hard work and consider studying blockchain. And finally, even though it may not seem like it, there has never been a more supportive time to be a woman with passion for her career. Reach out for all the support you can find, speak up when you need to, stand your ground, and above all, do it with grace. My responsibilities as Brand Director encompass all the ways we present ourselves, including overseeing design for web, events, printed materials, and UI, written materials and releases, and events. I am endlessly checking proper use of fonts, colors, grammar, scale, scope, strategy, voice, and attitude. Fortunately, I work with a talented team of people who care about these details as well. I love learning new things, meeting new people, and traveling. Read about our upcoming Altcoin Magazine Mastermind Event here. Experienced owner with a demonstrated history in marketing. Strong communication professional skilled in comprehensive branding & design for innovative tech.